Potato bio ponchos and other waterproof articles. Ecofriendly products for rain. Fantastic Bioplastic is a product range produced from bioplastic obtained from GMO-Free potato starch. Coming from plant resources, it contributes to minimal global warming than petroleum-based plastics and also requires much less energy to be produced. 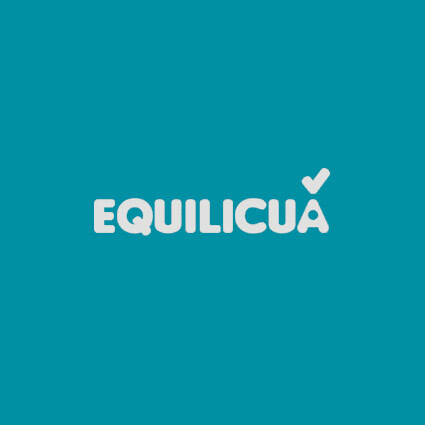 In Equilicuá we believe it is possible to find sustainable solutions to everyday products. The raw materials and environmentally friendly additives and degrade are composted. They require humidity and specific heat under which begin to decompose underground. The product breaks into pieces under certain conditions of light, heat and humidity. Totally disappears without leaving toxic particles in the environment. Fully integrated into the biosphere without harming our ecosystems. Bioplastic is derived from renewable biomass, in this case from potatoes. Coming from plant resources our contribution to global warming is less than oil plastics. It is not toxic. 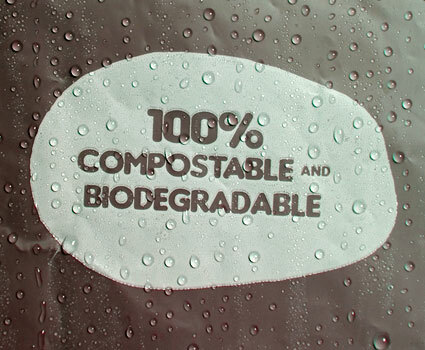 It is 100% compostable and biodegradable, recyclable and reusable. In our case the material we wanted to replace single-use raincoats made with traditional plastic, although ours has many more uses for we have chosen to give more quality. Our bioplastic raw material is certified with the European ecolabels compostable and biodegradable warranty as standard as defined in EN 13432. Our garments are biocompatible, our inks are solvent. You can currently find OXODEGRADABLE plastic from oil, bags and other products, which has been added additives that cause fragmentation into small pieces by the action of sunlight and moisture. They are called Oxodegradables but they are also called "biodegradable". However polluting components pass to earth. Avoid them, they are not or are compostable bioplastics.